Water runs through the pipes overnight, which freezes around the icicles, raising the castle higher and higher. Construction crews are hard at work building a castle made entirely of ice. The structure, which is being built on a baseball field in Dillon, Colo., will be large enough for visitors to walk through, once it is complete, 9 News reported. The structure will eventually include a frozen maze, an ice throne and a 50-ft. slide. "This is the weirdest job I've ever worked!" said Ben Dawson, a worker onsite. 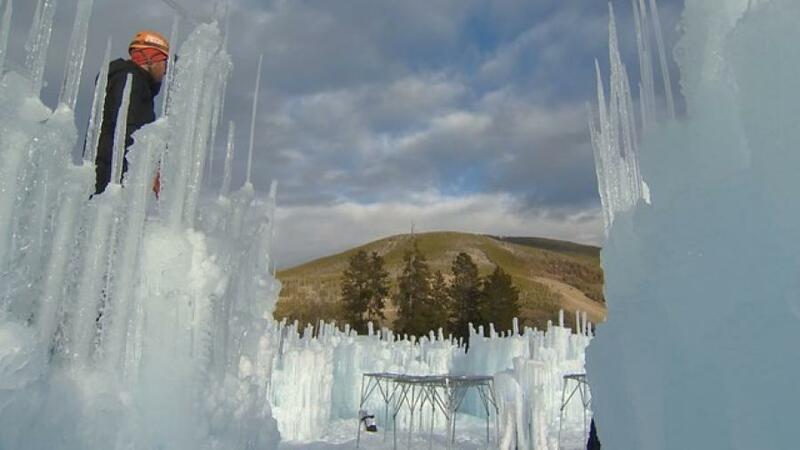 To build the castle, crews are creating icicles, before putting them atop ice towers, which are connected to water pipes. Water runs through the pipes overnight, which freezes around the icicles, raising the castle higher and higher. 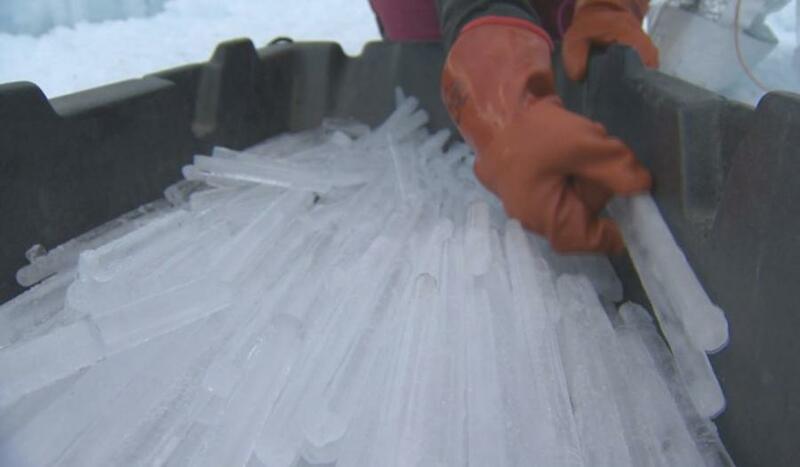 When finished, the ice towers could reach as high as 50 ft., 9 News reported. Crews will grind up ice to mimic snow so visitors can more easily walk through the structure, which will be open to the public starting in late December. "I really like being able to create something extraordinarily beautiful that thousands get to enjoy," said Dan Beck, the site manager. 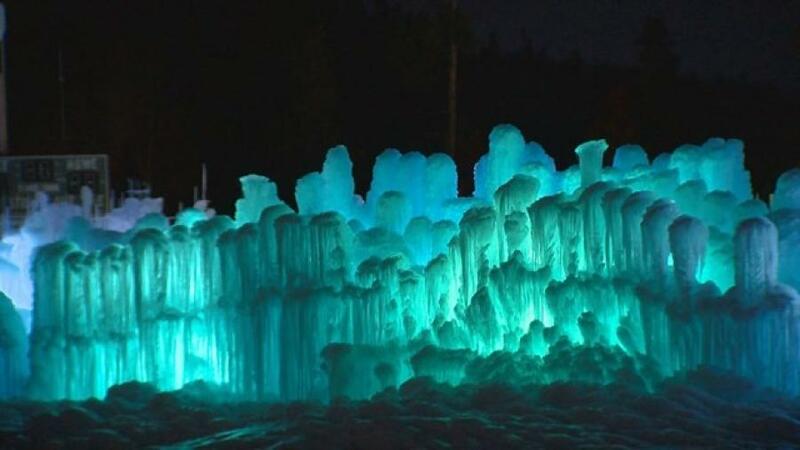 Ice Castle, the company supporting the project, is working on six similar castles in locations across the U.S. and Canada, 9 News reported.